About 25 activists, bloggers and content creators took part in the training, which took place in three intensive training sessions that lasted a total of 18 hours to train trainers in various topics such as citizen journalism, and video and audio visualization. 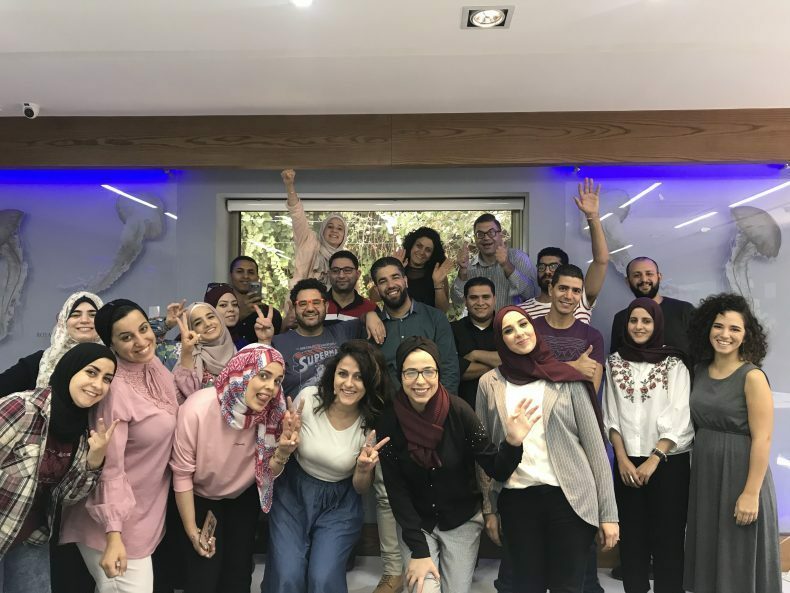 7amleh – the Arab Center for the Development of Social Media concluded on Sunday, 7.10.2018, the first training course in digital storytelling for a group of media specialists, activists, content creators and civil society organizations. 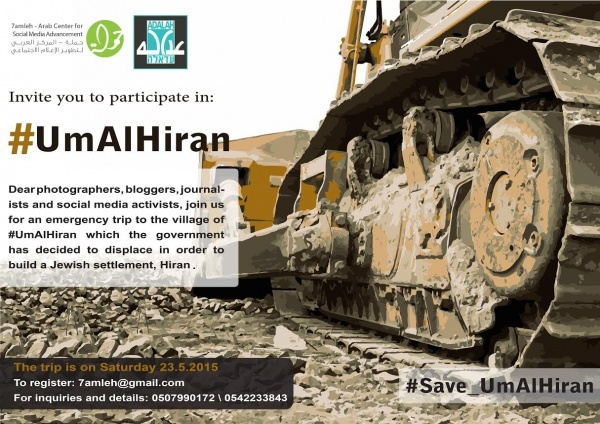 The training was attended by 25 participants, activists, bloggers and content creators. The training took place in three intensive training sessions that lasted a total of 18 hours to train trainers in various topics such as citizen journalism, video and audio visualization, and the use of these images and videos for campaigning. The third day of training focused on the practical use of some of the techniques, producing digital stories, dealing with data journalism and all mobile applications in the world of audio, video and image information. Beyond that, the training included communication and speech skills, how to give a television interview, interaction with cameras and self-promotion. The training included practical and theoretical applications on most of the topics covered. The training was carried out in partnership with and support by Deutsche Welle Akademie with the trainer Mohammed Al Qaq. 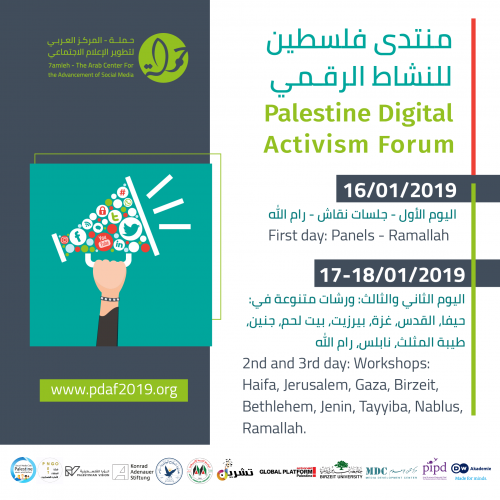 The training department at 7amleh Center conducts a series of trainings and capacity buildings for Palestinian professionals, organizations and institutions on various subjects in the field of digital activity, E-campaigns, digital marketing, crowd-funding, digital storytelling and similar topics.